There are lots of signs of heating malfunction that are subtler, but loud noises emitting from your system isn’t one of them. When you’re experiencing this problem, you know that you probably have a repair need on your hands. If you need a reliable team here in Columbia to make sure that your heater runs well (and quietly) again. We’re definitely the team for the job. If you want to decipher the noise that your heating system is making then make sure you keep reading below. We’ve compiled some of the most common noises we hear our customers call about so you can understand the sources of your home heating problems easily. 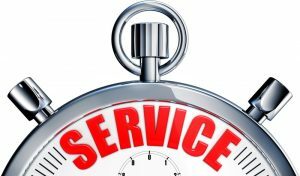 If you need heating repair in Chapin, SC then be sure to contact us. Posted in Heating | Comments Off on Is Your Heater Making These Noises? So you’ve fired up your heater to take off the chill of a cold winter’s day here in St. Augustine, but you’re battling against the stubborn chill of your downstairs space. What’s more frustrating than that? A great way for you to combat this problem is by using zone-controlled heating. 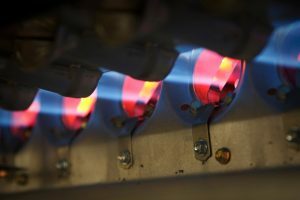 Many homeowners are unfamiliar with this method of heating their home and we’re here to rectify that because it’s an incredibly beneficial system for your space. 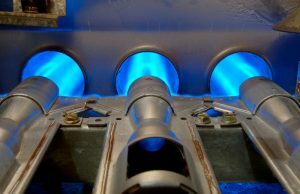 When you need St. Augustine, FL heater services make sure that you contact Fulmer Heating and Cooling. Are you unhappy with the heating system in your home? 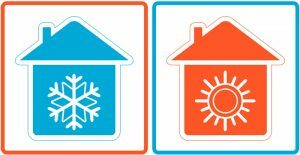 Maybe your home isn’t heating well during winter, your heating bill is too high, or you just have a system that’s too old and out of date. No matter what the reason is, upgrading to a new system when the time is right is a great idea. Make sure that you consider a heat pump for your home. Heat pumps are energy efficient, eco-friendly, and great for homes here in Irmo. If you’re unsure that a heat pump could be right for heating your home, contact our team. Our team here at Fulmer Heating & Cooling can come to your home, assess the needs of your heating and cooling system, and match you with the best make and model of heat pump for your needs. If you need an Irmo HVAC contractor, then contact our team today to schedule an appointment. Are you frustrated by the heating capacity of your home this winter? It’s incredibly common for homeowners here in South Carolina to have this problem. 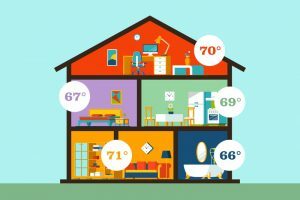 Maybe the first floor of your home is incredibly chilly while the second floor is perpetually stuffy—you don’t have to power through these problems all winter long. If this is a problem in your home, then we have methods to help you heat your home evenly again. We understand what causes homes to heat unevenly on a technical level. If you need a great Chapin HVAC contractor contact our team.